Once all officers have completed the search and the pattern is double checked, all items are prepared for collection before the level two search. At a minimum this includes, a midrange photo (hopefully over-all photos were taken before the scene was searched or altered in any way), a close up photo (with ABFO scale) and measurement to the item from two fixed points for a sketch. Video taping may or may not fit in here depending on your department policy. Once all evidence items are collected and properly packaged, you can proceed to a second level search. What about the marking device? Leave it in place in case there is any question later about the interrelationship of the location of evidence items collected. Level Two Search: Even when taking the search process to a more thorough level, crime scene integrity can still be maintained. A level two search consists of moving items that cause minimal intrusion into the scene. For example, when conducting a level two search closet doors are opened, furniture is searched underneath and some drawers may be opened. The idea of a level two search is to not be extremely intrusive, but to search in reasonable places in a way that does not totally disrupt your crime scene. As with a level one search, a search pattern is chosen and double checked. Items are marked with a number and then "caught up" with all the other items previously collected. you would then complete the exact same steps with the level two evidence. After the level two evidence is collected it is time for a Level Three Search. Again, you may leave the marking device in place. Level Three Search: This third level is the most intrusive of all searches. This may include emptying every drawer in the scene and searching through every pocket of every piece of clothing in the closet. Turning over mattresses and looking through dirty clothes are commonly part of a third level search. As with the other levels, if anything is found it is marked and "caught up". A significant difference when conducting a third level search as opposed to a first or second level search is the timing of evidence collection. Third level evidence is typically "caught up" and collected as it is found since a third level search is so intrusive. To illustrate, imagine that you are searching a drawer and you are taking out each item in the drawer piece by piece. An item of evidence is found and marked. Obviously you do not want to remove the rest of the items from the drawer until that evidence is collected. Level Three is also where you would conduct major latent print searches, tear out carpet or take out pieces of wall. You may also use chemicals such as Leuco Crystal Violet (a blood detection and enhancement chemical) and Luminol here if you have not done so up to this point. Using this methodology insures that found evidence is properly documented and collected before there is any possibility of destroying the evidence. Other crime scene principles, such as a preliminary survey and final walkthrough are still recommended. This methodology is designed to supplement and enhance current accepted practices, not to replace them. What if there is confusion as to what level a certain action fits into? For example, I recommend that on scene printing is done in level three because of the intrusive nature of fingerprint powder. Before you know it, that stuff is everywhere! But what if you would like to turn lights on in a particular room before you search? You know that the light switch should be searched for latents, but you are not yet at level three. I tell students that if turning on the lights would make your crime scene search more effective, then do it. If there is no particular advantage to doing it now and it can wait until level three, then wait. 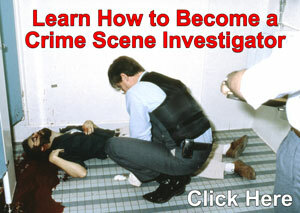 A Crime scene investigation must be flexible. If, however, an investigator wants to powder an entire area "fishing" for latent prints, wait as long as possible because of the very intrusive nature of that action. Another quandary involves the use of chemicals at scenes. Chemicals are extremely invasive and can alter the scene in significant ways. I recommend level three for most chemicals. Suppose however, that a bloody footprint is found right inside the doorway during a level one search. Do we wait to use Leuco Crystal Violet because it is a chemical? No. The argument for processing this footprint immediately is apparent, especially in an area as sensitive as a doorway. In such a case, the use of Leuco Crystal Violet becomes part of a level one search. What if you want to Luminol an entire floor in one room just to see what might appear? That should be done in level two or three, depending on the specific circumstances of your scene. Unfortunately, though there is no single right way to search a crime scene, there are many wrong ways. 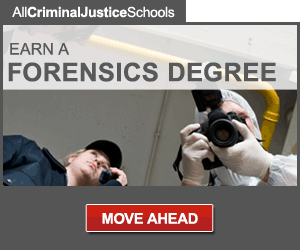 Common sense and the professionally trained and ethical desire to preserve the integrity of evidence will guide you in these decisions at every unique crime scene.